What can a man immersed in the real-world culture of startups teach the Ivory Tower eggheads about staying relevant? Joichi Ito‘s resume reads like that of a guy afflicted with ADD, hooked on media, and ramped up on Red Bull: a “guild master” in the World of Warcraft, a DJ, a Hollywood producer, a former CEO of Creative Commons, a board member of the Mozilla Foundation and Icann and a venture capitalist with early stage investments in Twitter, Flickr, Technorati, and last.fm, among others. 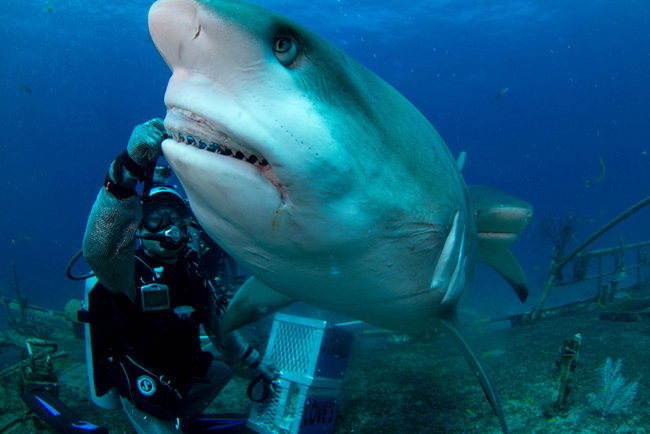 Did we mention he’s also a scuba instructor who enjoys feeding sharks? Turns out, that’s the perfect bio for a future director of one of the world’s pre-eminent computer science labs and research facilities (well, maybe not the shark part). At least that’s what the MIT’s famed Media Lab decided when, after two days of “speed dating” in Cambridge they tapped him as their new chief, passing over 200 other candidates. One hitch: he’s a college drop-out (of both Tufts in computer science, and the University of Chicago in physics). Details, details! But nothing that couldn’t be overcome with high voltage charm, a killer resume, dazzling global connections, and scary smarts. The Media Lab, co-founded by Nicholas Negroponte and Jerome Wiesner in 1985, is the place that brought us such innovations as electronic ink (which enables e-book readers); LEGO’s Mindstorms kits; the original software for Guitar Hero; the One Laptop Per Child computer; the gesture interface previewed in ?The Minority Report? ; and the robotic PowerFoot prosthesis. We caught up with Ito (who goes by Joi, pronounced “Joey”) in his offices at the end of his first busy week on the job, as he was racing back from a meeting with students. You’ve been a venture capitalist, an entrepreneur, a tech executive, and a Hollywood producer. Why did you want to come to the Media Lab? I?m very much a serendipity person. So when I met Megan Smith from Google at “Silicon Valley Comes to Oxford” and she asked me if I was interested in being director of the Media Lab, I thought about it for a minute and said, ‘Sure!’ But then I wasn’t sure it would work. I thought of MIT as this big institution, this thing. And when I came to visit, the building was so impressive, it was a little bit intimidating. I thought, “Gee, I don” t know if I deserve to run a place like this!? What made you decide this was the place for you? My whole life has been about connecting things that aren’t connected. We did this kind of speed dating thing where I had 30-minute stints with faculty and students for two days. At the end, I thought, “Wow, this is perfect; it’s exactly what I want to do.” My whole life has been about connecting things that aren’t connected. I moved to the Middle East because I realized it wasn’t connected to a lot of my networks. My life looks really scattered and disorganized because I?m always trying to push the edge of my understanding, and my value is in providing connections and context. Anyway, it was very much a love at first sight thing. We ended with a big group hug. It’s pretty unusual to find a person in such a lofty academic position who doesn’t even have a B.A. Was that a problem? Obviously there were a few raised eyebrows when MIT found out that I didn’t have a degree. The Media Lab people felt like it was a badge of honor because they don’t like to conform. But after I met the administrators and they got that I don’t disrespect academia, it’s just that I have never fit into any of their patterns. How can you turn that insight into something the Media Lab might explore? Could we make the Media Lab a place that would be able to keep people like me? Academia’s trying to reinvent itself right now. Maybe some of those people like me who are dropping out and starting companies ought to be in school and would be if only there were the perfect place. I got lucky. I found the Internet, my parents were encouraging, and even though I completely failed at formal education, I somehow survived. Most people aren’t like that. The Media Lab does a lot of work with learning. So maybe we can start reinventing education. Could we make this a place that would accept me, and more importantly, be able to keep people like me? On the West Coast, you’ve got Peter Thiel, paying people to drop out of college. And I thought: let’s flip this around. Aren’t there a bunch of those people who dropped out who should be here at the Media Lab and how can we figure that out? That’s one of my missions. With all these interests, how do you keep from just being a dilettante? It’s not about being a generalist. I like to go deep in a lot of things, but when I do, I like to go deep enough to contribute. 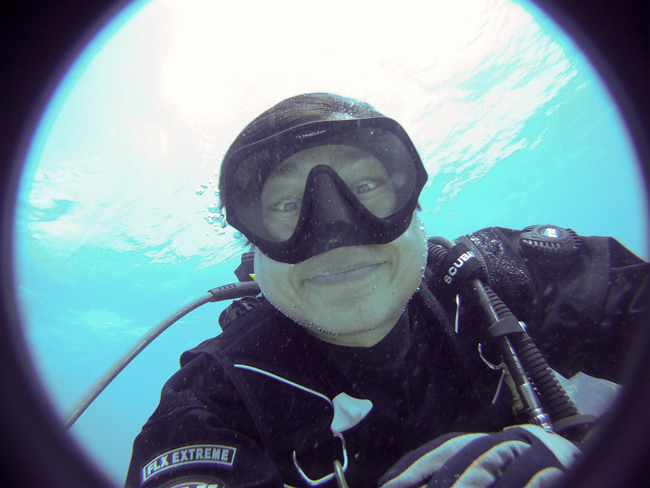 If I like scuba, I become an instructor. If I like music, I become a disc jockey. If I like movies, I want to work on a movie set. I don’t become a world class academic in that field, but I get good enough to understand the nuances. And then, because I have experience in so many fields, it gives me a pattern that other people don’t have. For me, being unique and having friends who are unique is a really important thing. So, presiding over the Media Lab lets you sample a bunch of different fields without having to commit to just one? Exactly. When I was in Hollywood, I realized that if I wanted to be a Hollywood producer, I’d have to spend 120% of my time talking to only Hollywood people. It’s the same in every industry or with traditional academics. But the Media Lab is a place where you can sit around and talk about everything deeply and that’s the whole point. And I thought, here I’ve been stitching this thing together and being called this crazy scatterbrained ADD guy when in fact, what I’ve been trying to do already exists at the Media Lab, and sponsors pay for it! Interdisciplinary studies is a big thing on campuses these days. Do you see your own experience as a model of the future? Reed Hoffman, the founder of LinkedIn, is a friend of mine. We talk a lot about careers. The whole idea that you figure out what you want to be, then plan your course and execute on it doesn’t work anymore. Now, you want to find the things that you’re good at, be able to pivot when you need to, and have the network you need to support that. We know from Mark Granovetter that it’s the strength of weak ties that are really important. You don’t build weak ties in a place where 50 people are saying the same thing as you. You build it in places like this. Here at the Media Lab we can be pioneers in testing this, and because we can grant degrees, we can be a hybrid and do some crossovers. I want to experiment with that as much as MIT will let us. My proposal to MIT and the provost is let us be a pilot for the future of academia. Boston is one of the top three cities for venture capital. As a former Silicon Valley VC, I wonder how you see it fitting in? The Media Lab has the potential to create a new and different category. The consumer-Internet, agile-technology VC community doesn’t exist yet in San Francisco. You’ve got all these engineering geeks there, from the Stanford and HP explosion, who create a lot of stuff. And there’s a little bit of design because of the rave culture and the hippie culture. But San Francisco isn’t really that cool. On the other hand, New York with Madison Avenue and the media, understands cool. The cool companies like Foursquare and Kickstarter are starting in New York. Even in the cool companies like Twitter, most of the people aren’t really from SF. Silicon Valley is a gravity well of so much stuff, it’s hard for them to get out of it. Silicon Valley is a gravity well of so much stuff, it’s hard for them to get out of it. There’s a really particular kind of investment style, a particular type of agility, and a particular type of company development that’s very Silicon Valley. They’re very agile, and good at risk taking, but they’re very short term. All these companies in Silicon Valley may start out with a long term view, but they very quickly turn into these cash-generating, supercharged growth things. It’s like a drug. It clouds the mind. Meanwhile, big companies are long term and not agile. If we could figure out a way to be long term and agile and figure out an investment structure for that, that is something Media Lab would be very good at: something where we could have a long trajectory, yet create a short term impact. Would this new structure necessarily be a venture capital model? We may need to reinvent how venture capital works. If you’re addicted to really high short term returns, you do a certain kind of risk taking where you can get short term breakaway success. Silicon Valley doesn’t like to invest in long-term things, they don’t like to invest in hardware. So much of technology now is about making things more efficient and faster. We know from the financial crisis that just making things more efficient doesn’t necessarily make the world better. I?m not super religious, but being from a Buddhist background, we learned that happiness is about balance, about community, about things that are sustainable. The bad thing about New York is that there are too many investment bankers who say, “How can he be smart if he’s not rich?” In Boston, where it’s all about academia, being poor doesn’t mean you’re stupid. Does that induce a good investment system? I don’t know. It’s got a unique set of parameters. It could be that it’s not venture capital. It could be foundations, or nonprofits. If we could start creating a ton of impact, there are ways to fund it. The Mozilla foundation makes $100M from Google per year, but they’re nonprofit. You don’t have to have investors to do everything. Everyone’s struggling with how you put the money together in a way that creates maximum impact. I?m just assembling the pieces; I don’t have the theory yet. The Media Lab gets most of its research budget from corporate sponsors. What are your plans in that area? Your partners are the ones who have the incentive to take what you do and create big impacts. But you end up being biased toward a particular category of impact when you have a specific category of sponsors. The fact that the Knight Foundation is coming in is great, but government or social entrepreneurs could also be sponsors. It’s all about diversity — geographic, sector, and field diversity. There are some Silicon Valley companies here but not that many. And internationally we have clusters, but we don’t have many Arab companies, or many Africans. We could encourage that more. You’re famous for your manic travel schedule. What does that international perspective mean to the Media Lab? My biggest guilt is my impact on climate change because I travel over half a million miles a year. I go around the world one or two times every month. When you do that, nowhere is very far away. What I’d like to do is bring people with me, and bring people back. Big connections are OK, but it’s more interesting to allow the chaos and complexity and serendipity to happen. That doesn’t happen with heads of state talking to each other; it’s when these interesting relationships crop up. For me international is not about building a humongous center in some place, it’s how can I make everyone in the Media Lab be able to test their product in Kenya, and make that as easy as walking across the street to the Harvard Medical Center. What are the barriers to that? People think of MIT and the Media Lab as this well-protected fortress of intellectual elitism and they’re afraid to contact us. It didn’t become a fortress on purpose. It’s just a natural state if you have a bunch of smart people in physical proximity in a beautiful space with cookies. Brand is important, but we need to make ourselves less intimidating. And part of that is showing up everywhere. That’s what I did with Creative Commons. And I’d go to Syria and say, “Hey, anybody want to work with us?” Or to Ramallah, and say, “Hey, can we set up a Palestinian network here?” Then I’d go to Israel. Once you start going to places you see that face-to-face is really important. I’ll do the first reconnaissance thing out there, but once I get going, I hope all the students will be going out. At Creative Commons you worked on intellectual property issues. How will that help you at MIT? Intellectual property is a huge part of what universities obsess about. But I think sponsors these days care more about the ideas than the patents. So much stuff is shared online now with Open Source, the Internet, and informal research. The best way to be relevant is to be part of the conversation, and a lot of these conversations aren’t happening in peer reviewed journals. They’re happening at Foo Camp (an annual hacker convention). A lot of these crucial conversations aren’t happening in peer reviewed journals. A lot depends on the sector, but what we realized at Creative Commons is there’s no one formula. It’s very nuanced. You have to be very literate with what you give out, what you don’t share. But if you can share it, it will make you more relevant and you’re much more likely to get information back. Students and faculty here get it. I come in with a very strong bias toward open; we’ll see how the system reacts to that (big laugh.) I don’t have enough data yet to predict the outcome. You’re well-known for living a very public life. Will you still be able to do that in your new position? Lots of people have given me lots of advice. I?m going to continue to be open. Openness and transparency by themselves don’t solve anything, but they don’t necessarily cause the problems either. A lot depends on your personality. I?m not very good at keeping secrets. I?m not a micromanaging kind of person. I do get in the weeds when I?m going deep on something but I don’t tend to obsess about the complexity of stuff. I try to fix things by charging forward and trying to overwhelm with energy rather than trying to surgically fix stuff. Transparency tends to work better with that kind of management. It’s great to sit around swapping tales of the latest cool technology, but you’ll be expected to do a lot of fund-raising too, right? I’ve discovered that I kind of enjoy fund-raising. I realized that fund-raising and philanthropy aren’t these negative things about raising money. They’re about building a vision together with people and building partnerships. In the Media Lab I felt like I found my tribe, and I can go out and represent them to the world, and find people to join the vision. Since I?m not an academic or a researcher, I?m not going to do my own thing. Everyone’s projects are my projects. The context of the lab is my work. A number of people seemed to feel that was a feature rather than a bug.